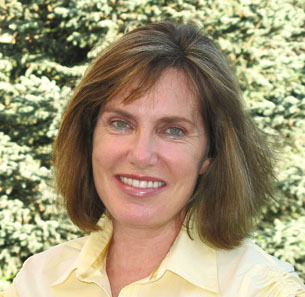 Irene S. Levine, publisher of GettingOnTravel, is an award-winning journalist, author and blogger. After a distinguished career as a psychologist and a decade moonlighting as a freelancer, she transitioned into her “next act” – that of a full-time travel writer. In addition to penning hundreds of articles focusing on health, mental health, and lifestyles, she has written for the travel sections of major newspapers such as the Chicago Tribune, Boston Globe, Washington Post, Los Angeles Times and Dallas Morning News. Her travel stories also appear on Forbes.com, PBS Next Avenue, Grandparents.com, AARP Bulletin, The Huffington Post, NBC Universal Life Goes Strong and numerous other websites. Irene is a member of the Society of American Travel Writers, North American Travel Journalist Association, American Society of Journalists & Authors and Authors Guild. Also a member of the International Food, Wine & Travel Writers Association, she is contributing editor to the organization’s magazine, Food Wine Travel. She and her husband Jerry produce More Time To Travel, a blog offering inspiration and information for the over-50 luxury traveler. Janice Mucalov is co-founder (with Irene) of GettingOnTravel. Together they created the vision for this unique online magazine. She is a lawyer-turned-writer, wife, mother and avid traveler. She counts herself lucky to have visited all seven continents, including Antarctica (which she says isn’t white, but splashed with many shades of blue). 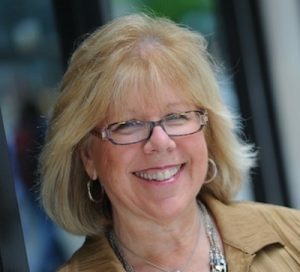 Hundreds of her travel articles and photos have appeared in Islands, NUVO, AAA Carolinas GO, Globe & Mail, TravelAge West, Taste of Life, Interval World, Cruise & Travel Lifestyles and USAToday.com, and she’s tickled she’s won several travel writing awards along the way. Janice is also a member of the Travel Media Association of Canada, the Society of American Travel Writers and the North American Travel Journalists Association. She’s climbed inside the Great Pyramid in Egypt, escaped a charging Komodo dragon in Indonesia and been bowled over by the priceless bling in Dresden’s Green Vault. She loathes mosquitoes, loves stand-up paddleboarding and never says “no” to a spa treatment. Janice and her husband George publish their own award-winning, luxury travel and adventure blog, Sand In My Suitcase. Jerome (Jerry) Levine, MD, is Irene’s husband, travel companion and intrepid photographer. During a long career in research and public sector psychiatry, Jerry lived abroad in Italy and traveled extensively both nationally and internationally. Since retiring, his photography has accompanied Irene’s articles and has been published in national publications and online. He is a member of the International Food, Wine & Travel Writers Association. Among other outlets, his photographs have been published in the Chicago Tribune, Forbes.com, NextAvenue.com, MoreTimeToTravel.com and GettingOnTravel.com. Meet our talented team of writers who contribute to GettingOnTravel! Lastly, none of this would be possible without the help of our web designer extraordinaire, Mandie Sanders. And we have Laura Kelly to thank for our delightful logos and valuable input.